The most harshly-criticized rework of the 2016 assassin update might finally get the axe. Riot continues to clean up the mess caused by the preseason update at the end of 2016. This time, LeBlanc is being at least partially reverted to her state before that update, according to the game company’s post on the official League of Legends forums today. The reversal will be similar in scope to Rengar’s upcoming update, which is also intended to reverse some of the problems caused by his changes in the same preseason update as LeBlanc. That means there will likely only be one, maybe two, abilities altered for LeBlanc, since Rengar’s Q was the only one reverted along with some new changes to his ultimate ability. 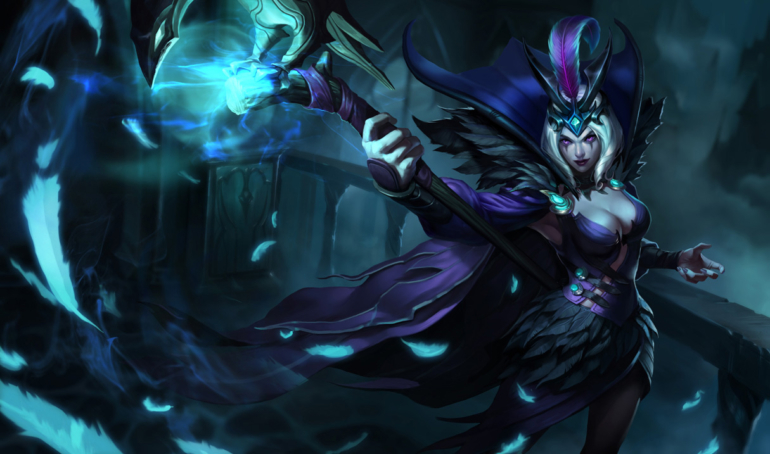 One very divisive part of LeBlanc’s updated abilities is her passive, which added a delay to detonating her Sigil of Malice, which is a large portion of her damage. Players who dislike this mechanic say that it ruins LeBlanc’s persona as an assassin by forcing her to wait extended periods between ability casts in order to actually deal the most damage. If anything will be reverted, it would probably be this. Another possible contender for reversal is her Distortion—the ability that allows her to dash and then teleport back to where she cast the ability. When it was updated, another delay was added to her kit that forced her to wait after dashing for a little under a half-second before teleporting back to her dash position. If either of these abilities are reverted, LeBlanc’s gameplay would speed up significantly, and she might be harder to track during a fight. We’ll know for sure which abilities will get the axe starting in about three weeks, when Patch 8.4 launches and her changes are pushed onto the PBE.